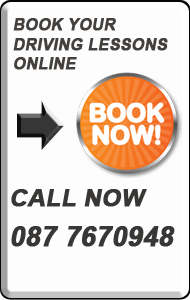 You should book our pre test well in advance of your driving test. If you have any driving faults that need attention you will need time to practice on the routines and techniques provided by your instructor. You should only apply for a driving test when both you and your instructor think you are ready. If you take the test without the right training and experience you will probably fail. In many people's eyes, the only time to look for professional tuition is a day before the test, and then they are surprised that they fail. Many learner drivers fail to pass their driving test because they are not prepared. Your preparation is vital as you need to show your examiner that you are well prepared and you are confident in the car when taking the test.